Can I Use Whatsapp in Costa Rica? Whatsapp is the most popular free app in Costa Rica. Ninety seven percent (97%) of Costa Ricans have it installed on their smart phones. Many businesses accept communication via the app. Beer in Costa Rica is more than just Imperial. There are other widely-available mass beers as well as a growing craft beer culture. Can you use US dollars in Costa Rica? Yes. Should you? That’s more complicated. Solo travel can be an enjoyable and freeing experience. With nothing but your own desires to consider, you can set your own agenda and follow your own whim. However, travel is usually more enjoyable when you can share the experience with other people. Plus, the idea of traveling to a foreign country alone can also seem scary. A rewarding solo travel experience to Costa Rica balances flexibility and interaction with others. Are Volcanoes in Costa Rica Dangerous? Volcanoes in Costa Rica aren’t something be scared of. 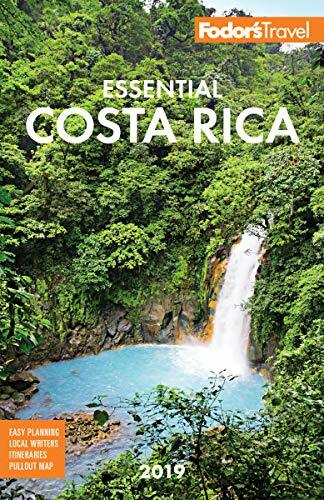 They are powerful and dangerous, but with a few precautions, you can enjoy the natural beauty that Costa Rica’s volcanoes provide to the traveler. Which Apps Should I Put on My Phone Before I Travel to Costa Rica? Here are nine apps that you might want to install on your phone before you travel to Costa Rica. What is the Area Code for Costa Rica? Costa Rica doesn’t have an area code, but it does have a country code, which is 506. Limon, Costa Rica is the western-most province in the country. It includes many kilometers of Caribbean coastline. Sunset in Puerto Viejo, after a rain, is colorful and beautiful. In Puerto Viejo, Costa Rica, you can hire a tuk tuk taxi to take you around town. On the Caribbean coast of Costa Rica, the ceviche is delicious and the Bavaria beer is cold. This photo was taken at Nema’s Restaurant in Puerto Viejo. Boats are moored to the beach near Puerto Viejo in Costa Rica. Rainy season in Costa Rica is generally considered to be May through November. However, on the Caribbean side of the country, September and October are usually dryer. Costa Rica offers excellent hiking, known as senderismo in Spanish. Costa Rica is a good place for remote workers. The internet service is reasonably reliable and fast by Latin American standards. The cost-of-living isn’t excessive. And, the view is amazing. The Caribbean side of Costa Rica is less developed than the Pacific side. There is a wild and unkempt beauty. This boat on the beach in Puerto Viejo is a popular ironic photo opportunity. The beach near Puerto Viejo. You can see the blue Caribbean through the trees in Puerto Viejo. This frog lives in the park in Barva de Heredia, on the northwest side of the Central Valley. San Rafael de Heredia is a tranquil suburb of Heredia which is located northwest of the capitol San Jose. Barrio Escalante, east of downtown San Jose, is a trendy neighborhood with restaurants, bars, and an artistic sensibility. This muddy road leads to Costa Rica’s only Spanish school located right on a beach, Intercultura. This statue stands outside the church in Barva de Heredia. Barva volcano is an under appreciated tourist destination with enjoyable hiking. You never have to fight the crowds here. The grotto near Barva Church is a popular destination for tourists and devout Catholics.